Shopping was the last thing on your mind amid the US presidential election, which was keeping the world on its heels. But now the elections are over and we know IT’S A BOY. Moreover, Thanksgiving is around the corner with Black Friday in tow, so the shopping craze is about to start. This season, more people are planning to avoid the long queues at shopping malls and shop right from their cozy La-Z-Boy recliners. It’s the best time for eCommerce to float the best and exclusive deals. However, while holiday season will keep you busy with sales, it will leave you particularly with no time to pen down your strategies for 2017. Here’s our list of UX design trends that will ultimately help you bag the necessary attention after the bells and whistles will die down in the beginning of next year. Do you look for content, when the screen is filled with a life-size image of the red backless dress, you were looking for your valentine day celebrations? However, what’s much better is a video provided by your online shopping destination, so you can actually make out how the dress will appear from every angle. Large images and video backgrounds result in a beautiful and engaging shopping experience and it’s quite crucial for eCommerce stores. But the trend which will pick up in 2017 is the use of large videos and images not just for home pages, but for the inner product pages. Long scrolling has become a cult for eCommerce. With mobile browsing becoming more commonplace and inventories getting larger, scrolling is the best option to fit a large number of products within smaller spaces. In 2017, you will see gestures entering into scrolling. Swiping will give more control to scrolling and makes it faster compared to tapping. Scrolling also backs the storytelling better, which is emerging as a trendsetter in eCommerce. Storytelling will be supported by parallax effects and animations, which get activated based on scrolls to make the experience more engaging. Scrolling helps you follow a visual narrative, helping users consume a lot of content over a short time. More people are choosing smartphones for shopping than desktops. All brands are already embracing a mobile first approach. Don’t worry! You don’t have to flood your smartphone with more mobile apps, but the trend will shift towards responsive design and progressive web apps. It will be reverse engineering, where websites will be first designed for smartphones and then made responsive or adaptive for larger screens. Sites designed for mobile phones when adapted to fit the form factor of bigger screens, will pave the way for large images, finger friendly buttons and icons. You might also get to see a lot of hidden hamburger menus for desktop screens. Besides dynamic search gaining mainstream acceptance, you will also see an evolution of voice search or digital assistant. Businesses are experimenting with innovative ways to serve their customers, and conversational interfaces are disrupting the customer service space. Uber has introduced a way to let users order taxis through facebook messenger bot. Virtual assistants will enter the shopping scene in 2017, giving a more personalized and interactive online shopping experience. In addition to serving as an ideal gateway for delivering pre-sales and post sales customer support, bots will also handle common inquiries and assist users in making purchases. Google streamlined the Android elements through dynamic material design. Vibrant colors, shadow effects, movements and content focused approach are already making material design most wanted for eCommerce. But in 2017, we will see card layout and responsive animations & interactions going much deeper into eCommerce. Cards simplify the navigation in a responsive design, making it easy for users to pay attention to a huge list of products and categories. In eCommerce, the biggest challenge is to keep your users engaged with your site. 2017 will see a lot of animations and innovative interactions helping users to complete a transaction using quick swipes, taps or gestures. Interactive button spins, icon rotation, loading bars, notifications and more animations will grab user’s attention. Buttons that get activated on scrolling to help eyes follow a certain navigation. Innovative hovering for zoom-in or to switch between product images and how it looks on a person. Add to cart button that changes its color or takes you to check out pages will also gain mainstream acceptance. Big Data is the buzzword that’s transforming all major industries. eCommerce will use its customer shopping patterns to create personalized product portfolio. In future, each customer will have their own exclusive online stores based on their preferences. Analytics will be real time in 2017 and you will get to see eCommerce players optimizing prices and floating offers based on real time browsing and purchase history. Real time analytics will help retailers to touch users at every possible conversion point. Augmented reality is slowly finding itself entering the eCommerce. 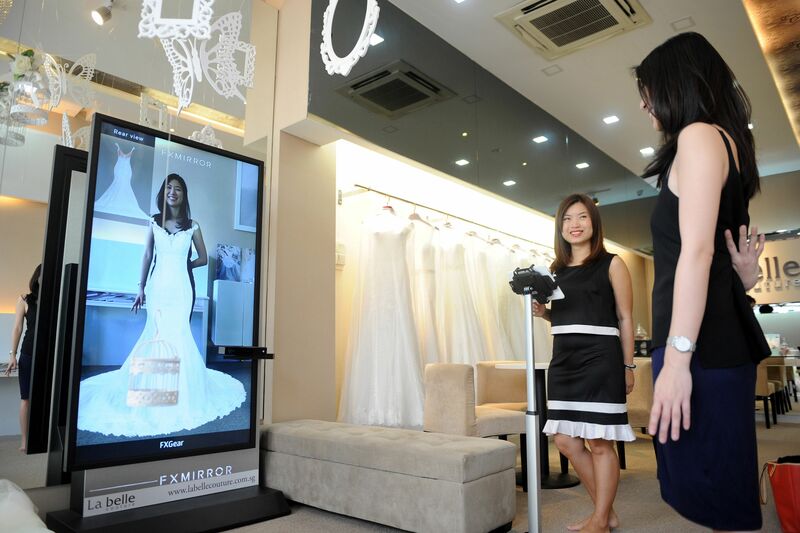 While more eCommerce players will introduce virtual fitting rooms that will allow customers to try out clothes and accessories from head-to-toe using webcam technology. But AR and VR will more aggressively push for the complete immersive experience with or without headsets. The theme based shops will enter mainstream offering fully immersive experience, allowing you to mix reality with fantasy in the shopping experience. Shopping will move from images or videos to virtual shops you can enter through VR. This will also strengthen the idea of omnichannel shopping, where shoppers will be able to emotionally connect with the products. Immersive experiences, customer service bots, personalized stores and what not, 2017 has one helluva shopping experience in store. After all, an impression that never leaves you even when you are looking for more products ultimately results in a purchase. With cut throat competition in eCommerce, brands need to map customer’s entire journey and anticipate what customers are looking for. These are only a handful of UX design trends that can help you retain your customers for a longer time and build a strong relationship.